These oval-shaped awards are made out of solid resin made to look like cast pewter with gold highlights. 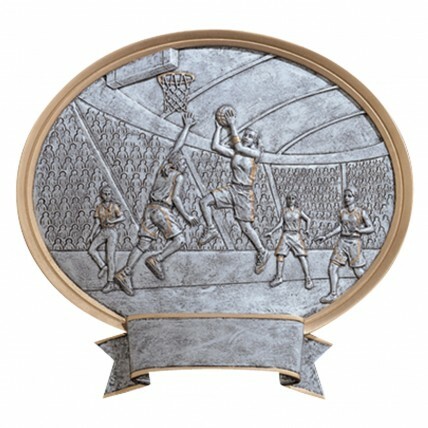 These awards display a 3-D scene of female basketball players in action at the hoop. This award looks beautiful either standing on a flat surface or hanging on the wall. Reward your players' dedication and hard work with our Female Team Basketball Awards!